Sandra Vannucchi was born and raised in Italy near Florence and received her B.F.A. in Film and Television from NYU's Tisch School of the Arts. She has written and directed several short films, including Back Waters, winner of NYU's Nestor Almendros Award, and Sunday Morning, broadcast on the Independent Film Channel. Nick, her latest short, shot in Harlem New York, premiered at The Huesca International Film Festival in Spain and won the UNICA prize at the Concorso Nazionale Valdarno Cinema. 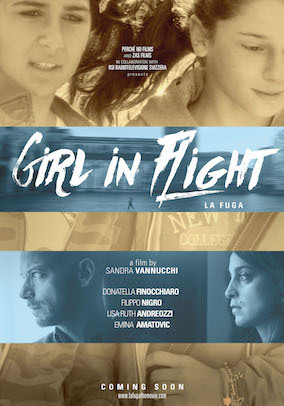 Before shooting Girl in Flight, Sandra also worked as the writer's assistant to David Chase, the creator and writer of The Sopranos. She is currently developing her second feature, a feminist comedy and American-Italian project entitled Villa Pionte.